When I picked up Deborah Lippman’s 99 Luftballons Nail Polish in a mini…I wasn’t quite sure what to do with it. In the end, I went with some layering & opted for something fun…something on trend…& something KBShimmer. 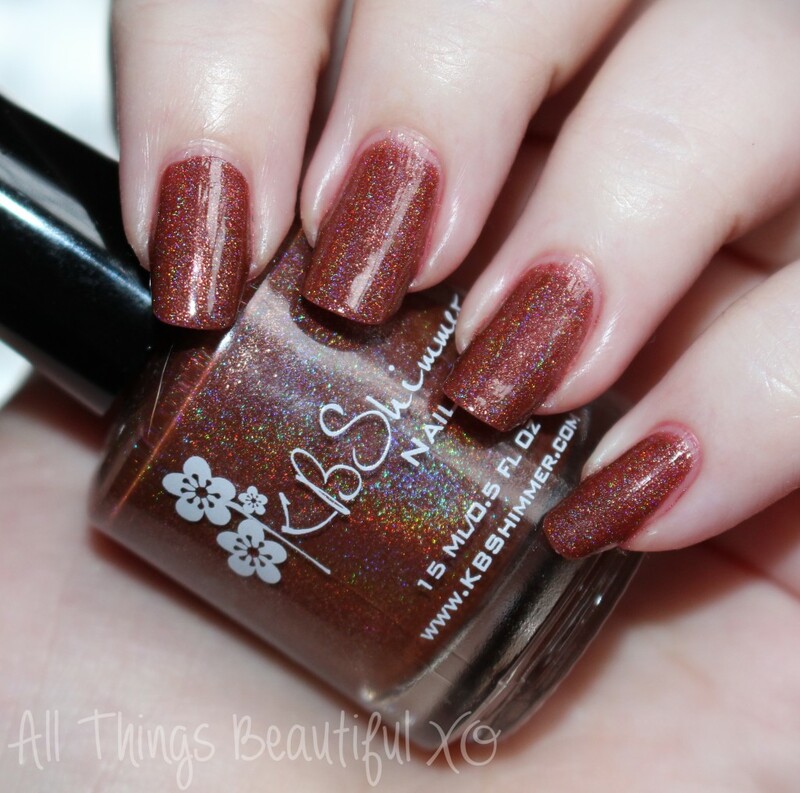 Deja Brew from KBShimmer is a gorgeous shade that I’m still obsessed with- check it out below! First let me show you KBShimmer Deja Brew on its own so you know what my base looks like. You can view full swatches & review on this shade & others from the KBShimmer Winter 2014 line on the blog here. Because Deja Brew has such red undertones for a red I thought it would pair nicely with Deborah Lippman 99 Luftballons. I tried 99 Luftballons on one finger & just wasn’t pleased with it on its own. This shade is basically just too sheer for me by itself. Sad face. 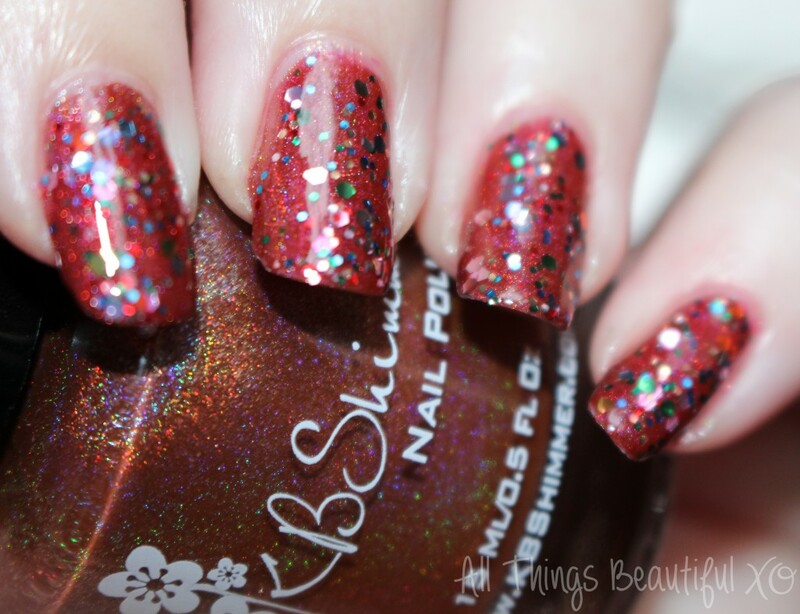 Deborah Lippman 99 Luftballons– a sheer very red-based pink with a rainbow array of hexes suspended in it. Seen here over KBShimmer Deja Brew. 2 thin coats with top coat. What do you think of this combo? I’m kind of liking this! Normally I don’t top holo shades but I think it really made it look more complex. What are your favorite layering combos? 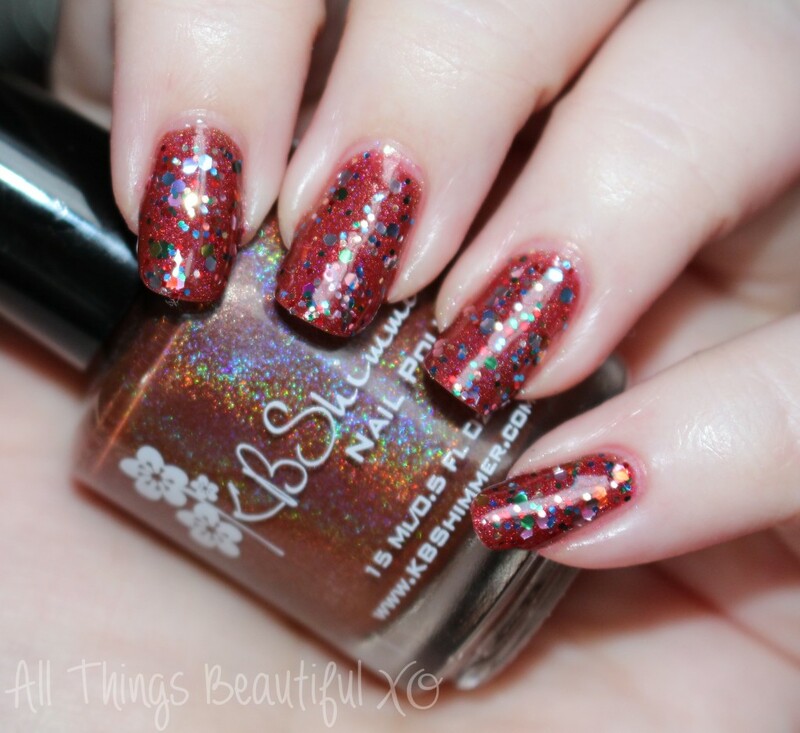 KBShimmer Holiday Nail Polishes for Winter 2014 Swatches & Review KBShimmer Snow Way! & White Here, White Now Swatches & Flocked Nail Art KBShimmer Men are from Mars-ala Swatches & Review Easy Valentine’s Day Nail Art Wrapped with a Bow featuring KBShimmer & Glitter!